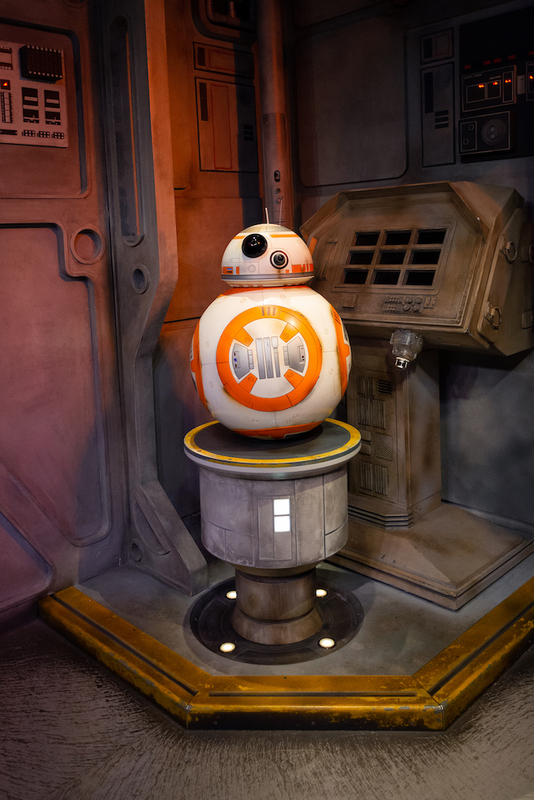 Join us for a recap of our Star Wars Guided Tour experience at Disney’s Hollywood Studios! 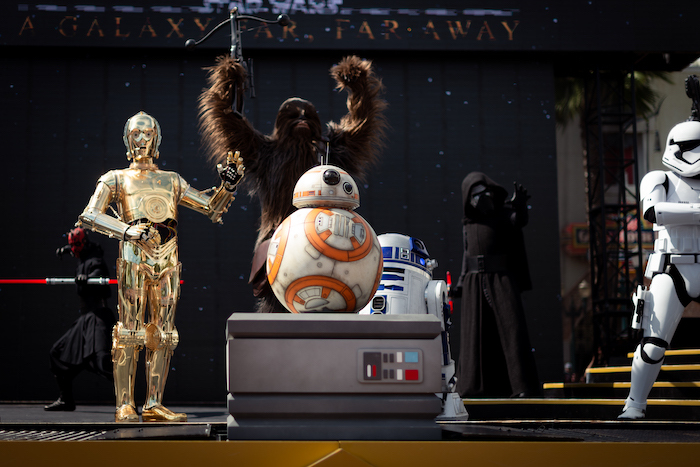 Plus, a peek at the Star Wars: A Galactic Spectacular Dessert Party. First, we would like to thank Disney for inviting us out to experience this guided tour and for providing admission so we could give you this inside look! I would also like to thank our tour guides—Darion, Hannah, and Kaitlin—for making the tour extremely informative and fun! 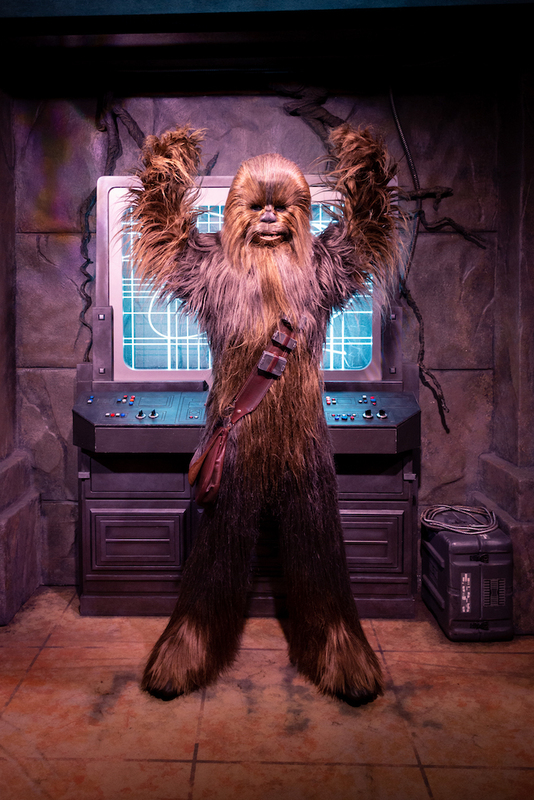 The Star Wars Guided Tour is a separately ticketed experience that you can purchase in addition to your park admission to Disney’s Hollywood Studios. 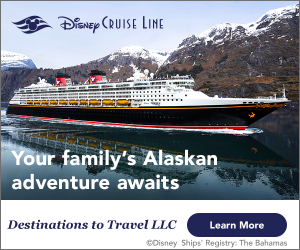 The price is $99 (tax included) with a 15% discount for Annual Passholders, Disney Vacation Club Members, and Disney VISA Card-holders. The tour is offered every day of the week except Sundays and begins at 8:00 AM. You can book your tour by calling (407)939-7529. 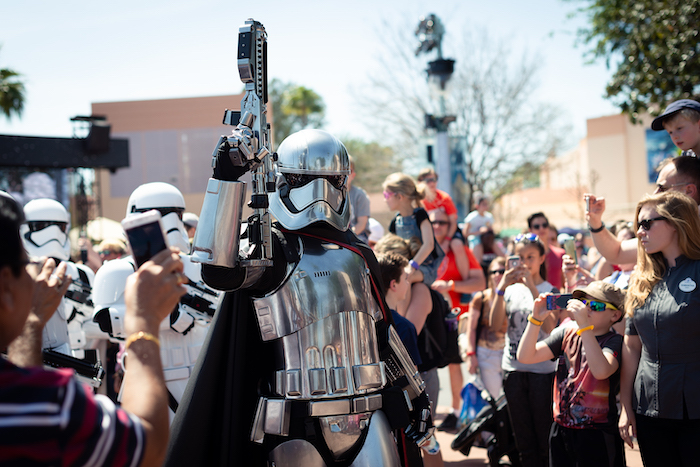 Make your day extra special by adding on the Star Wars: A Galactic Spectacular Dessert Party for $79 per adult / $45 per child (tax and gratuity included). Now on to the fun part! Let’s talk about what’s included in the Star Wars Guided Tour. Your tour guides will meet you at the front of the park at 8:00 AM to bring you to your first experience. Upon check-in, you’ll be given ear pieces to hear your tour guides throughout the tour. Our first stop on the Star Wars Guided Tour was a VIP ride on Star Tours. Photo by Courtney Reynolds. 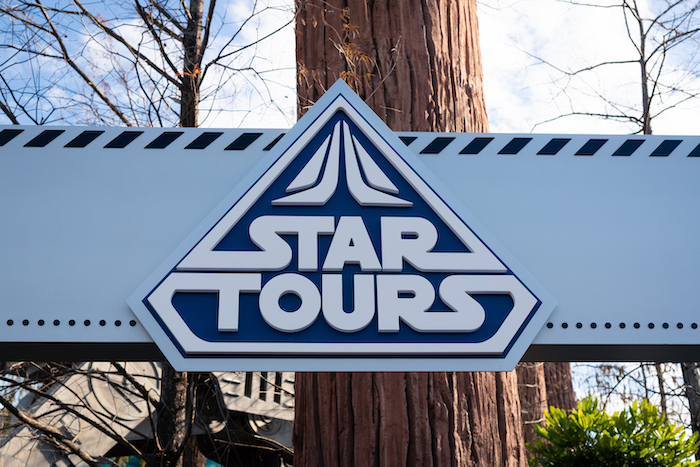 Our first stop—a VIP ride on Star Tours: The Adventures Continue. 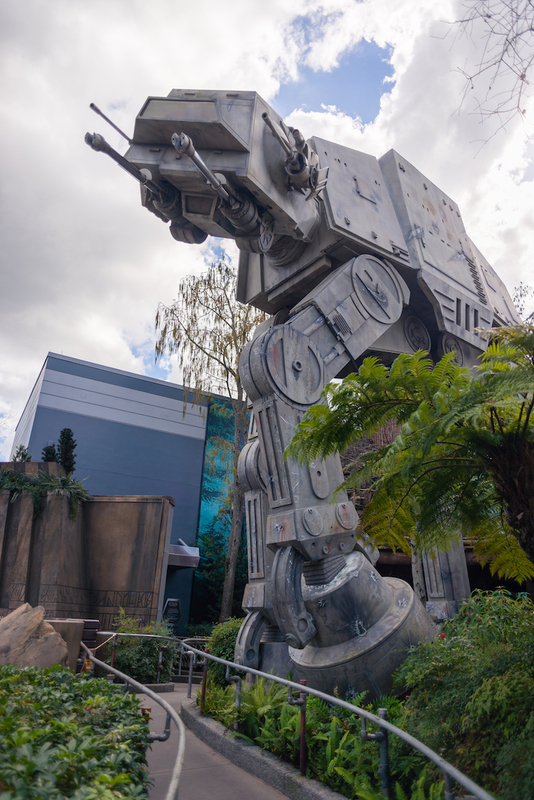 A giant AT-AT can be found outside the Star Tours attraction. Photo by Courtney Reynolds. We took flight on the first Starspeeder flight of the day! How cool is that? Along the way our tour guides shared a lot of interesting trivia about the ride, which I won’t reveal in case you want to take this tour for yourself. Before our flight, we were given a glimpse of some Backstage Magic and got to see the Starspeeder loading bridge with the lights on! After our flight, we were escorted to our next stop—a private viewing of Star Wars: Path of the Jedi. 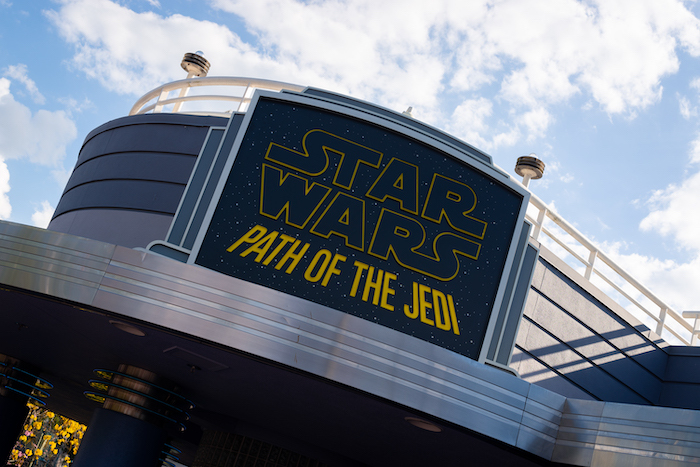 Star Wars: Path of the Jedi is a seasonal attraction that’s included in the Star Wars Guided Tour. Photo by Courtney Reynolds. Star Wars: Path of the Jedi is a short film that tells the story of the Jedi Order using cinematic highlights from various Star Wars movies. If you’ve seen all the films, you pretty much know the story already. This is a condensed version that essentially just made me want to go home and watch all the movies again! 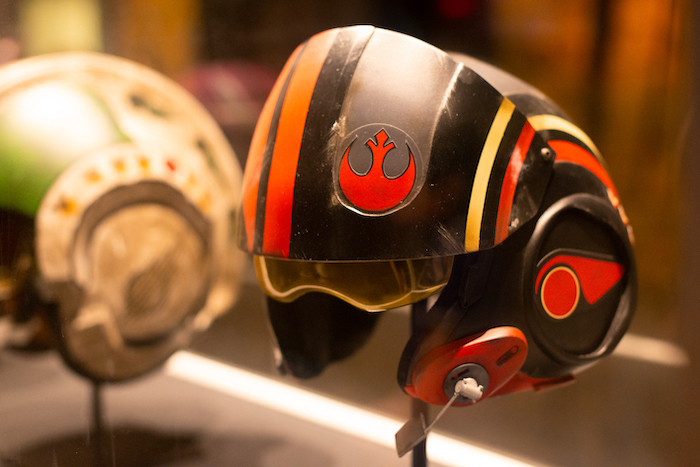 You’ll find many Star Wars replica props, models, and concept art inside Star Wars Launch Bay. Photo by Courtney Reynolds. Chewbacca gives the best hugs! Photo by Courtney Reynolds. Kylo Ren is just as intimidating as you’d imagine. Photo by Courtney Reynolds. BB-8 is quite the chatterbox! The character attendants will help translate his beeps and boops for you. Photo by Courtney Reynolds. We were given front-of-the-line access to all three Character Encounters at Star Wars Launch Bay. No matter how many times I meet them, I can’t help but feel a little starstruck! 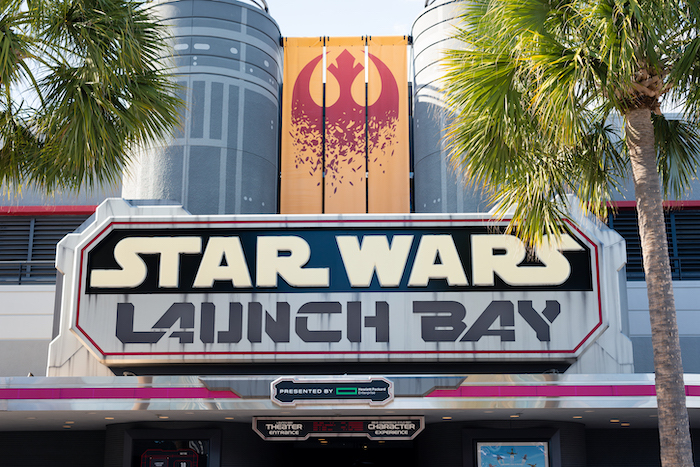 Go behind the scenes at the Launch Bay Theater and learn all about The Stars Behind Star Wars. Photo by Courtney Reynolds. 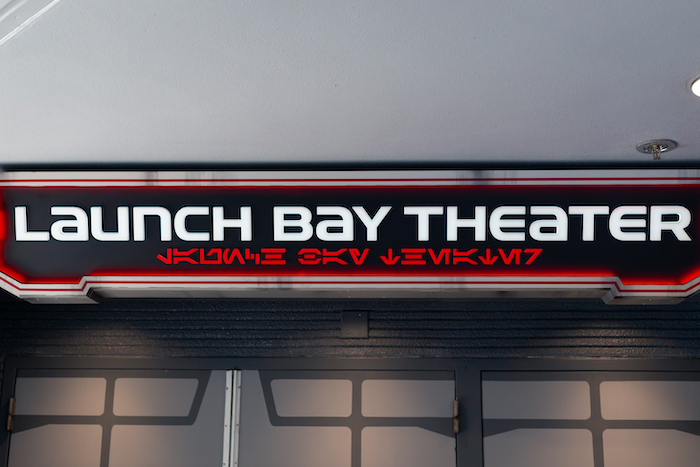 After our Character Encounters, we made our way to the Launch Bay Theater for another short film. The Stars Behind Star Wars is a documentary film celebrating the talented team bringing the Star Wars saga to life. 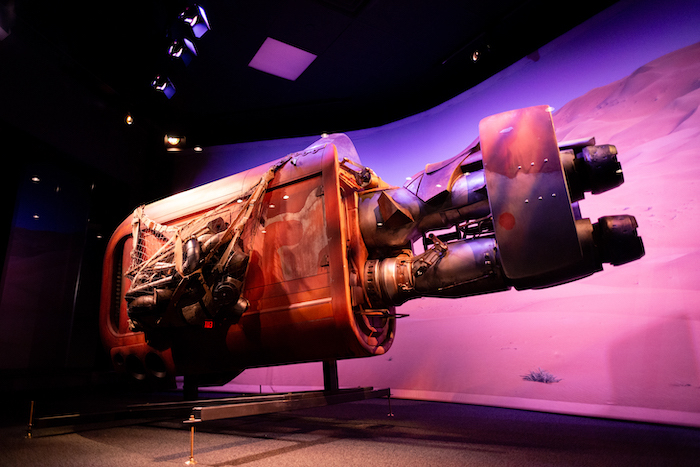 You’ll find many Star Wars replica props, models, and concept art inside the Star Wars Launch Bay. Photo by Courtney Reynolds. After the film, we were given a tour of Star Wars Launch Bay and learned all about the replica props, models, concept art, and artifacts housed inside. Before our lunch break, we were treated to a surprise. What do you think? Should I tell you what it was? I think it’s too cool not to share! Each day, Captain Phasma leads her squad of Stormtroopers up Hollywood Boulevard in a demonstration called March of the First Order. As a part of the Star Wars Guided Tour, we marched with the First Order right behind Phasma and her Troopers! We were also given a reserved viewing area for their demonstration at the Center Stage. 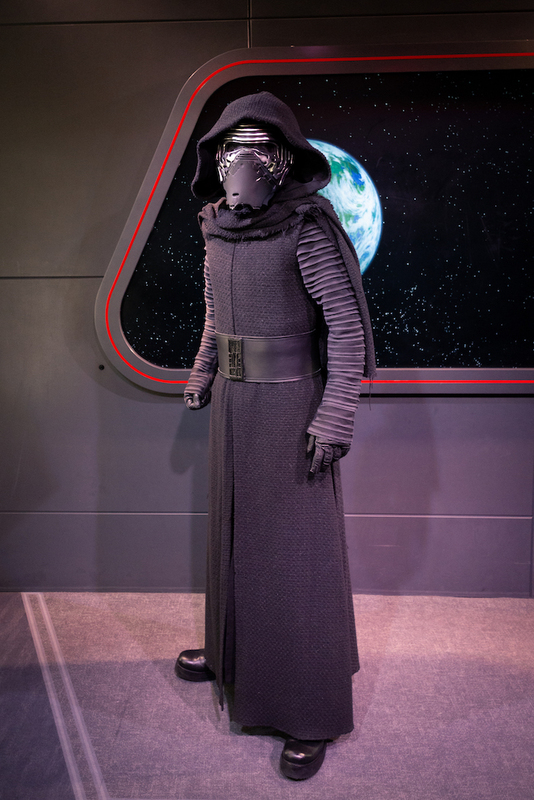 You’ll be escorted to a special viewing area for the March of the First Order during the Star Wars Guided Tour. Photo by Courtney Reynolds. Finally, we made it to lunch! 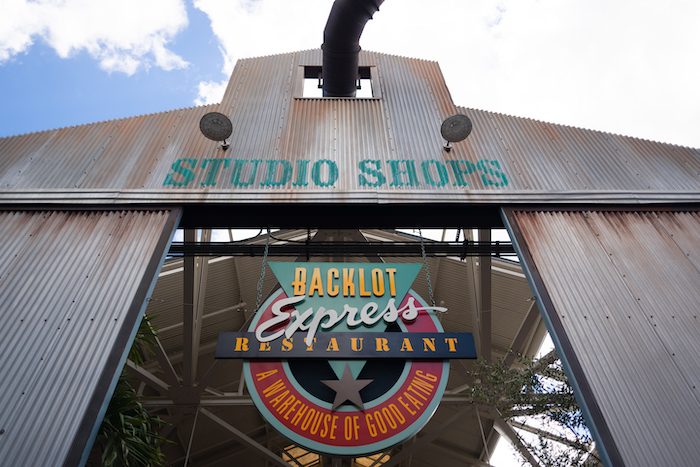 Lunch at Backlot Express is included in your Star Wars Guided Tour ticket. The best part? There’s no need to wait in line for your food! Just sit down in the reserved seating area and your tour guides will bring you your order. Lunch from Backlot Express is included in your Star Wars Guided Tour ticket. Photo by Courtney Reynolds. During our lunch, we had a surprise visit by a couple Stormtroopers! This was such a fun interaction and would be great for kids. It’s like a mini character dining experience! 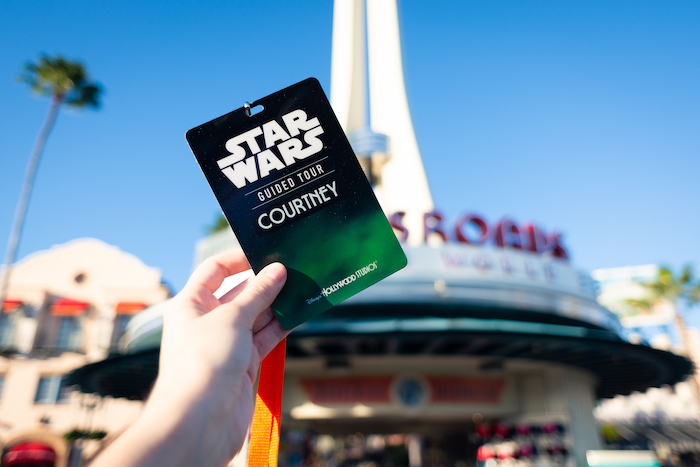 You get a reserved viewing area of Star Wars: A Galaxy Far, Far Away during the Star Wars Guided Tour. Photo by Courtney Reynolds. For our final stop on the tour, we were escorted to a reserved viewing area for the Star Wars: A Galaxy Far, Far Away stage show. This stage show brings all of your favorite Star Wars characters together on one stage and features epic moments from the classic films and new releases. A great way to end the tour! Children ages 4-12 can participate in Jedi Training: Trials of the Temple. Photo by Cliff Wang. 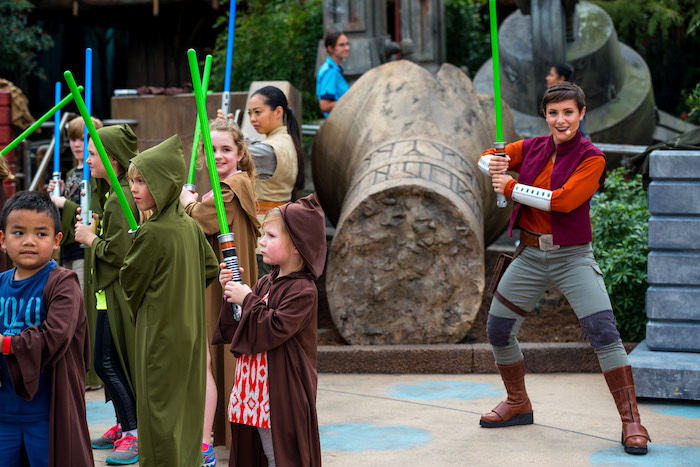 I should also mention that children ages 4–12 on the tour have the opportunity to participate in Jedi Training: Trials of the Temple! The Star Wars Guided Tour includes access to a reserved viewing area for Star Wars: A Galactic Spectacular. If you wanted to make your evening extra special, you could also purchase a ticket to the Star Wars: A Galactic Spectacular Dessert Party. The Star Wars: A Galactic Spectacular Dessert Party is a separate experience that can be purchased in addition to the Star Wars Guided Tour. Photo by Courtney Reynolds. 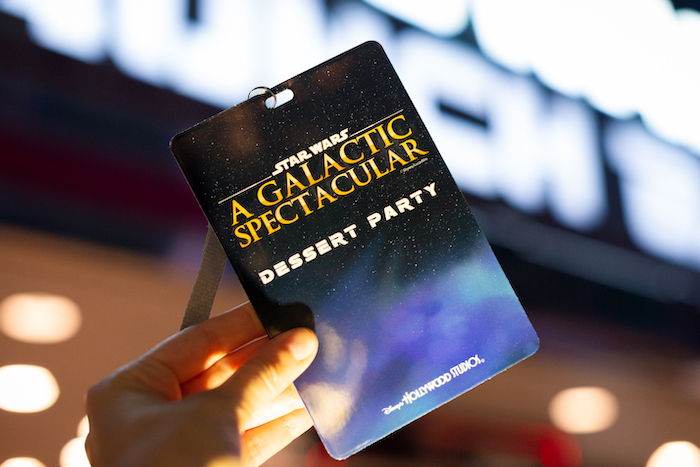 The Star Wars: A Galactic Spectacular Dessert Party includes a buffet of sweet and savory items, Character Encounters, and access to a reserved viewing area for Star Wars: A Galactic Spectacular. 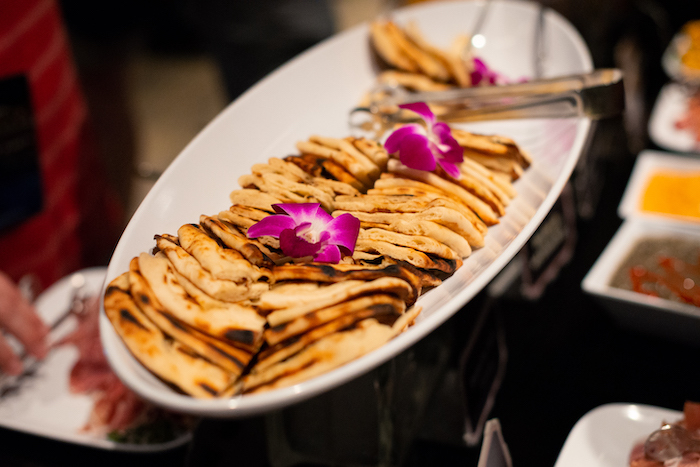 Grilled sea-salted flatbread. Photo by Courtney Reynolds. 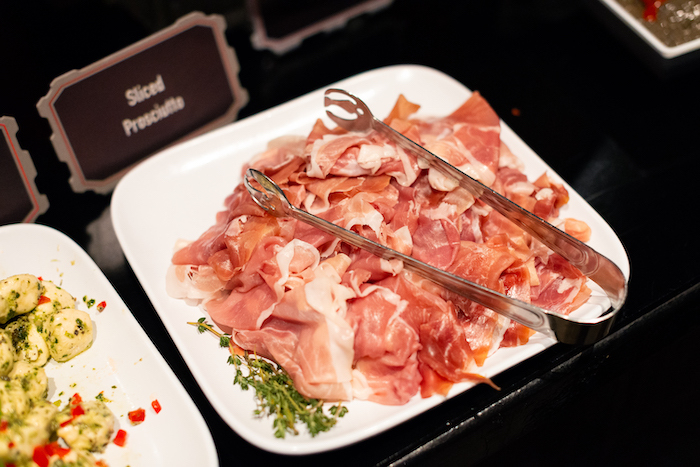 Sliced prosciutto. Photo by Courtney Reynolds. Feta cheese with sun-dried tomato pesto. Photo by Courtney Reynolds. 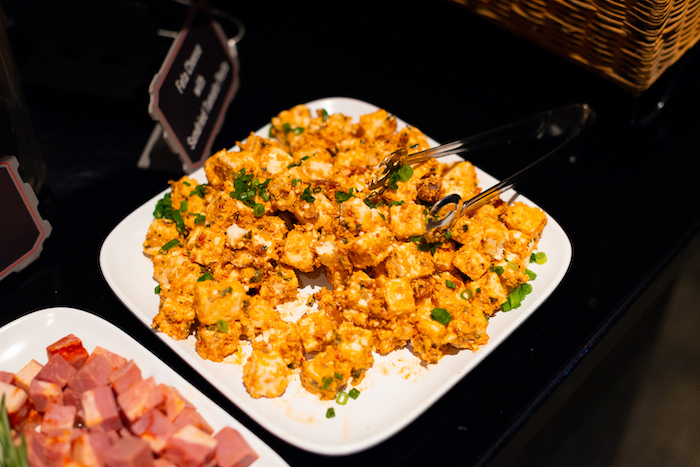 The buffet includes delicious savory items like sliced prosciutto, feta cheese with sun-dried tomato pesto, roasted red pepper hummus, and grilled sea-salted flatbread. 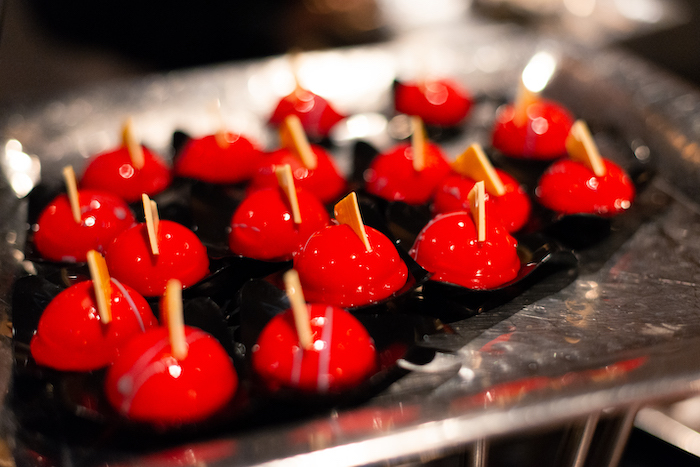 It also includes decadent sweets like blue milk panna cotta, warm bread pudding, freeze-dried chocolate hazelnut mousse, and raspberry mousse domes. Blue milk panna cotta. Photo by Courtney Reynolds. Raspberry mousse domes. Photo by Courtney Reynolds. 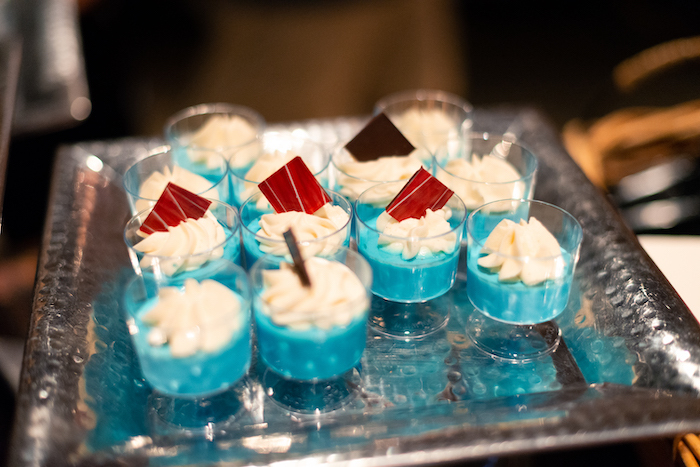 Both alcoholic and non-alcoholic beverages are included in your dessert party ticket. Guests 21 and over can enjoy Star Wars-themed cocktails like the Lightspeed Margarita made with tequila, blood orange, sour mix, and lime juice. There is also a selection of beer and wine available. Non-alcoholic beverages include a variety of sodas and fruit juices. At the end of the dessert party, you will receive a commemorative souvenir to take home. 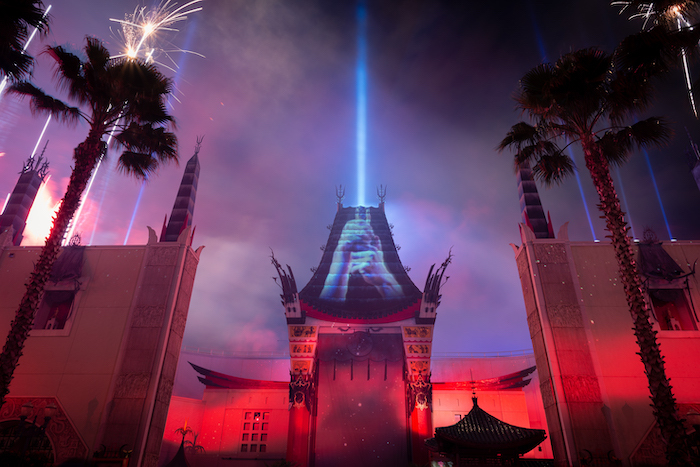 Top the night off with a viewing of Star Wars: A Galactic Spectacular from a reserved viewing area right in front of the Chinese Theater! 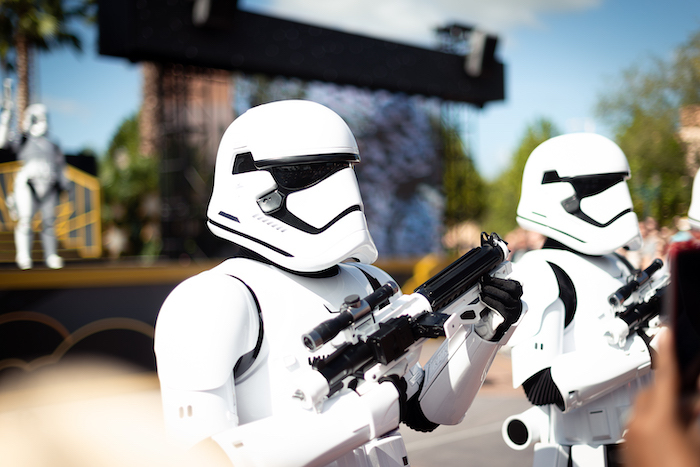 Both the Star Wars Guided Tour and Star Wars: A Galactic Spectacular Dessert Party give you access to a reserved seating area for the Star Wars: A Galactic Spectacular fireworks. Photo by Courtney Reynolds. If you’re going to do the Star Wars Guided Tour, be prepared for a long day, especially if you stay for the fireworks. There’s a lot of walking and a lot of standing in the sun. Wear comfortable shoes, bring a water bottle, put on your sunscreen. Trust me! This tour is perfect for families who love Star Wars, especially those with younger children. It will ensure that you experience all of the Star Wars happenings around the park, which can be difficult to do sometimes with children. Technically you could experience all of this without the tour, but if it’s a crowded day at the park and lines are long you might just miss a few things. As a local, I can always come back another day if that happens, but you can’t really do that if this is a once-a-year trip. If you’re celebrating a birthday or special occasion, I would definitely recommend the Star Wars: A Galactic Spectacular Dessert Party! The food wildly exceeded my expectations and it was such a fun, relaxing time. I will be forever dreaming about that Lightspeed Margarita! Love Star Wars at Disney? Subscribe today!